Throughout history, the Psalms have been an important part of Jewish and Christian life, prayed in the liturgy and as part of personal devotion, together as a community and individually. 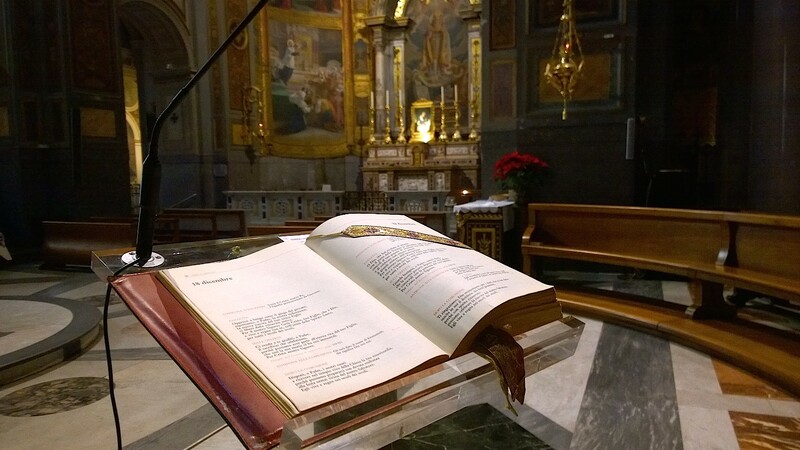 The Psalms are traditionally chanted or sung, but they can be spoken as well, and they are a school of prayer for the way they recall the saving works of God and the experiences of his people and have turned them into prayer (CCC 2585-89). In Hebrew, the Book of Psalms is called “Praises,” and looking through them, we see that they include various forms of prayer – praise, adoration, thanksgiving, petition and repentance. From at least the time of David, the people Israel have sung the Psalms and they were sung too by Jesus with Mary and Joseph when he was growing up, with his disciples during his ministry, and prayed even by the Lord on the Cross (Psalm 22:2). Thousands of years after they were written, it is surprising how well the Psalms continue to capture feelings of joy or despair, fear or exultation. In fact, the Church father Saint Athanasius observed that the Psalms contain “all things human” – joy, thanksgiving, lamentation, cries for help, pleas for justice and appeals for mercy. The Catechism explains that the prayer of the Psalms “recalls the saving events of the past, yet extends into the future, even to the end of history; it commemorates the promises God has already kept, and awaits the Messiah who will fulfill them definitively” (CCC 2586). At the same time, in a special way “the Psalms bring to the fore the grandeur of God’s merciful action,” said Pope Francis in calling for this Jubilee Year of Mercy (Misericordiae Vultus, 6). For example, when we are troubled, discouraged, or anxious, we might turn to Psalm 103, which enjoins us to not forget the bountiful gifts of God, whose “mercy is from age to age” and “who pardons all your sins, and heals all your ills, who redeems your life from the pit [and] who fills your days with good things, so your youth is renewed like the eagle’s” (103:17, 3-5). Psalm 145 also reassures us that “the Lord is gracious and merciful, slow to anger and abounding in mercy. The Lord is good to all, compassionate toward all his works” (145:8-9). Another Psalm says, “Blessed is the one whose hope is in the Lord, who keeps faith forever, secures justice for the oppressed, who gives bread to the hungry. The Lord sets prisoners free; the Lord gives sight to the blind. The Lord raises up those who are bowed down; the Lord loves the righteous. The Lord protects the resident alien, comes to the aid of the orphan and the widow, but thwarts the way of the wicked” (146:5-9). One very special hymn of praise, thanksgiving and hope in God’s mercy is Psalm 136, known as the “Great Hallel,” which “is traditionally sung at the end of the Jewish Passover meal and was probably also prayed by Jesus at the Last Supper celebrated with his disciples,” taught Pope Benedict XVI during his Wednesday audience series on prayer. The Psalm “unfolds in the form of a litany, marked by the antiphonal refrain: ‘for his mercy endures forever.’” The goodness of God in his many mighty works on behalf of his people are then recounted. Pope Francis reflects that to “repeat continually, ‘for his mercy endures forever,’ as Psalm 136 does, seems to break through the dimensions of space and time, inserting everything into the eternal mystery of love. It is as if to say that not only in history, but for all eternity man will always be under the merciful gaze of the Father.” Furthermore, adds the Holy Father, “Knowing that Jesus himself prayed this psalm makes it even more important for us as Christians, challenging us to take up the refrain in our daily lives by praying these words of praise: ‘for his mercy endures forever’” (Misericordiae Vultus, 7). Remembering the Divine Mercy of the Lord, we can confidently pray the Psalm called Miserere, which is Latin for “mercy” – “Have mercy on me, God, in accord with your merciful love; in your abundant compassion blot out my transgressions. Thoroughly wash away my guilt; and from my sin cleanse me. . . . Restore to me the gladness of your salvation; uphold me with a willing spirit” (Psalm 51:3-5, 14). The Psalms are a blessed gift for us to remember the goodness of God and his tender mercy. This sustains us in hope and challenges us to be merciful too.